CES 2016 saw the introduction of several new tough gadgets. Three of them are wearables including an Android Wear outdoor smartwatch, a tactical GPS smartwatch, a fitness watch, and an analog watch with GPS timekeeping. 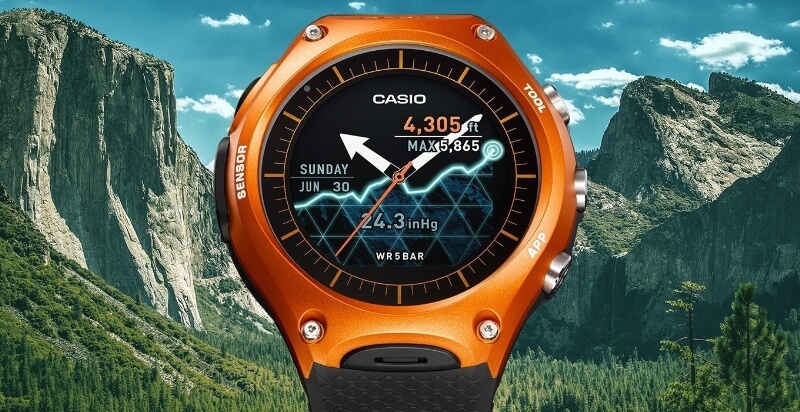 Getting the most attention among the tough gadgets at CES was Casio’s first modern smartwatch model, the WSD-F10. Designed for outdoor activities, the WSD-F10 is powered by Android Wear and has a 1.32-inch 320 x 300 color touchscreen. The WSD-F10’s toughness credentials include 50-meter water-resistance (the first smartwatch with built-in microphone to achieve this) and military standard MIL-STD-810-compliant environmental durability (it passes 10 tests of MIL-STD-810G). The watch’s dual-layer display allows it to switch to a monochrome LCD for a continuous time display. Using the monochrome display allows for better visibility in the sun and if used in “timepiece mode” only the battery can last over a month. Another distinguishing outdoor feature is the watch’s built-in sensors including an altimeter, barometer, and compass, as well as an accelerometer and gyrometer for fitness tracking features. The watch comes pre-loaded with useful outdoor apps such as MyRadar for weather, Runkeeper for route tracking and recording, ViewRanger for navigation, and Yamap for GPS Trekking. List price is $500 with availability in April 2016. The Garmin Tactix Bravo is the latest version of Garmin’s tactical GPS smartwatch. The Tactix Bravo has a sapphire crystal and the bezel has a diamond-like carbon (DLC) coating for superior scratch protection. The watch has a reinforced housing and is water-resistant to 100-meters. The Tactix Bravo doesn’t just pay lip-service to tactical use as the color display is sunlight-readable and even has a night-vision mode for use with night-vision goggles. The Jumpmaster feature provides detailed speed and descent information for skydivers. The GLONASS-supported GPS provides full navigational features for training, exploring, and missions. The built-in ABC sensor provides measurements for altitude, atmospheric pressure, and compass bearing. The watch can store 1,000 waypoints and has a TracBack feature to navigate back to the starting point. In addition to its mission-based tactical features the Tactix Bravo can also function as a fitness tracker to measure distance, pace, calories burned as well as advanced running dynamics and SUP/rowing data. 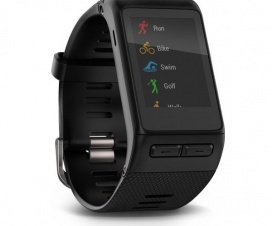 The watch can download course data for over 40,000 golf courses worldwide and act as a scorekeeper. Smart notifications provide messaging alerts with a Bluetooth-connected smartphone. Battery life is 50 hours in UltraTrac mode, 20 hours in GPS mode, and three weeks in smartwatch mode. The Tactix Bravo is available with a silicone band or with interchangeable black and olive drab nylon bands. Suggested retail price is $699.99. 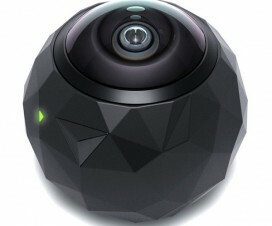 The 360fly is a mountable camera featuring an ultra-fisheye lens capable of shooting a 240° field of view for “360 degree” interactive virtual reality videos. 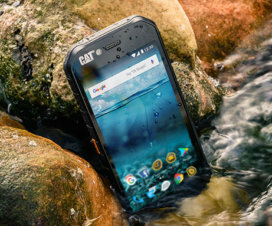 The camera features 5 ATM (50-meter) water resistance, IP6X dust resistance, and shock resistance up to a 1.5 meter drop. 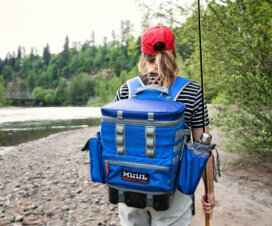 The included mount can be outfitted on curved and flat surfaces such as helmets, surfboards, snowboards, or vehicles. A connected smartphone can be used as a viewfinder, remote control, and editor. 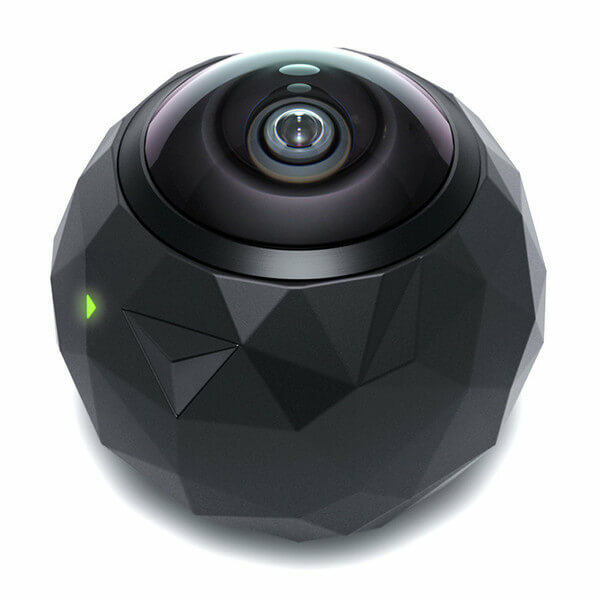 The 360fly has a list price of $399.99. The Razer Nabu Watch is a semi-smart watch that combines a big G-Shock-like digital watch with the features of a Nabu fitness band. The watch is shock resistant to 5 meters and water-resistant to 50-meters. The digital watch and its features like stopwatch and countdown timer are powered by a coin cell battery that will last 12 months. The Nabu side has its own 128 x 1O6 OLED secondary display and is powered by a separate rechargeable battery that can last up to a week. The rechargeable battery also powers an accelerometer, vibration motor, and Bluetooth (Low Energy) connectivity to a smartphone. The Razer Nabu Watch can display call and messaging alerts and track steps, distance, calories burnt, sleep, active minutes, and fitness goals. The watch can also display social media alerts with Nabu-connected apps. 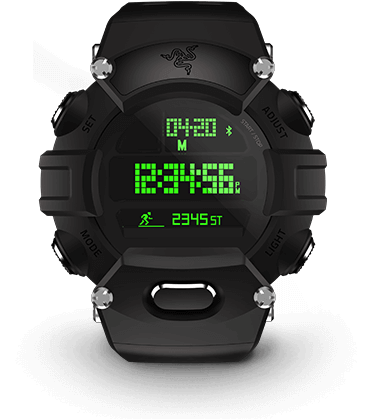 The Razer Nabu Watch Forged Edition (with blacked-out bezel and stainless steel buttons) is currently available for $199.99 and a standard edition $149.99 version is coming soon. The G-Shock MTGG1000D-1A was released in late 2015 but was on display at CES 2016. 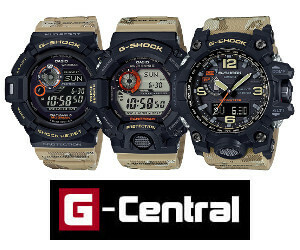 It features 200-meter water resistance and Triple G Resist which includes resistance to shock, g-force, and vibration. 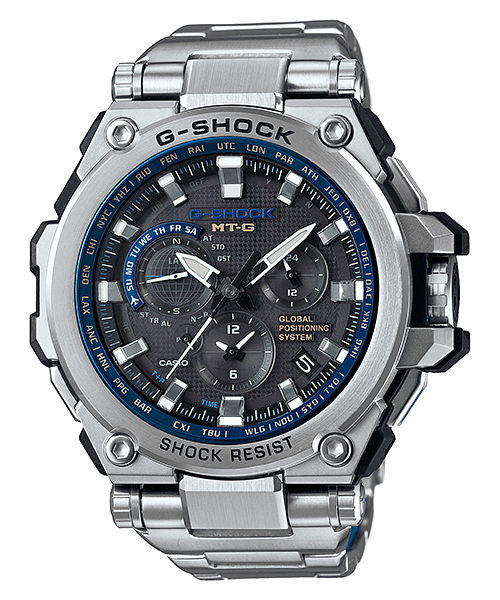 The quartz-powered analog watch is Casio’s latest luxury-styled G-Shock and is a GPS Solar Atomic Hybrid model. That means it is solar powered with a rechargeable battery and capable of automatically adjusting the time using GPS satellite signals or radio signals from six transmitters around the world. The radio feature, also known as Multi-Band 6, is a common feature on many G-Shock models but not all areas of the world are in range of the six transmitters. The GPS timekeeping feature allows the MTGG1000D-1A to sync anywhere in the world and also determine its time zone. This combination of radio and GPS timekeeping is also known by G-Shock as GPS Hybrid Wave Ceptor. Other features include LED light, neo-brite luminous hands and markers, world time, beeper alarm, 1/20 second chronograph, countdown timer, and full auto calendar. This is one of the most expensive G-Shock watches but it has the distinction of being manufactured at Casio’s Premium Production Line in Yamagata, Japan. List price is $1,600.